Firefly is an innovative company that makes postural support seats and mobility devices that let children with motor impairment "participate in all those moments that make family life special". 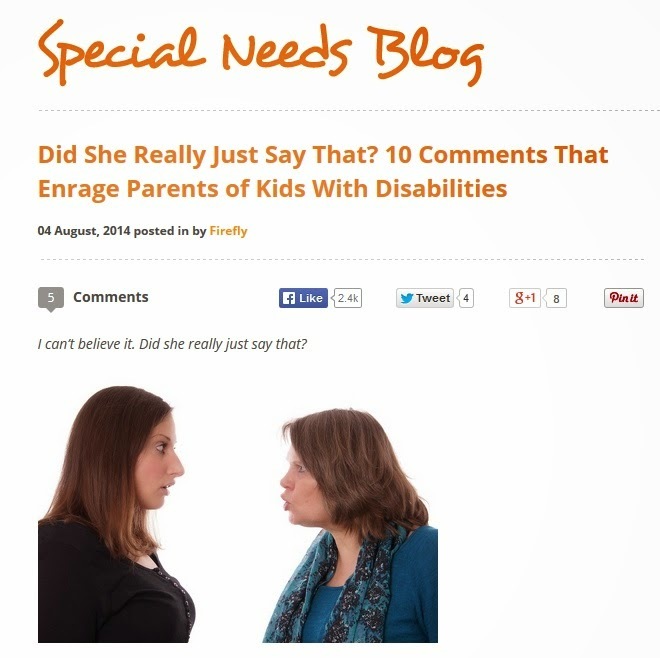 Firefly also has a Special Needs Blog, to which I am a regular contributor. Each month, they send out a list of "talking points" to their regular bloggers and parents - ten topics they want to get our opinion on. They then turn the answers into articles and blog posts for the benefit of other parents. Their questions are thought-provoking and inspiring, and they evoke some insightful answers. 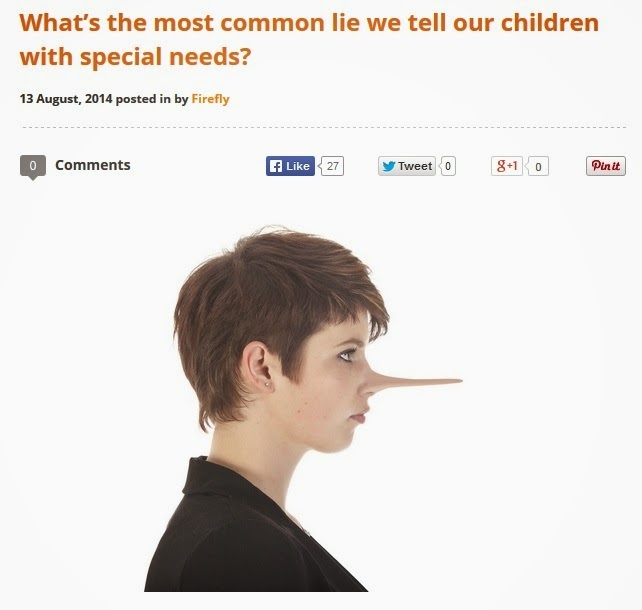 Questions like "What is the most common lie you tell your children?" and "Tell me something about everyday life that only the parent of a child with special needs would know." Here are some of my most recent contributions. I am looking forward to the next set of Talking Points. Stay tuned to Firefly's Special Needs Blog, where parents, caregivers and healthcare professionals share their stories, insights and thoughts to inspire each other.